Terry de Gunzburg was already a legend in the beauty industry before she launched her eponymous beauty line By Terry in 1998. Having inspired and developed Yves Saint Laurent’s colour range, Terry’s focus for her line has always been to work with natural beauty rather than detracting from it. We were delighted to asked by Cult Beauty to explore the By Terry range and recommend our favourite products for our readers. A firm fixture of many women’s handbags, nightstands and bathroom cabinets, this nourishing treatment is brimming with rose flower essential wax and pastel oil, alongside conditioning shea butter, antioxidant vitamin E, SPF 15 and strengthening ceramides, to encourage cellular regeneration and dispel dryness to leave lips feeling kissably smooth and soft. 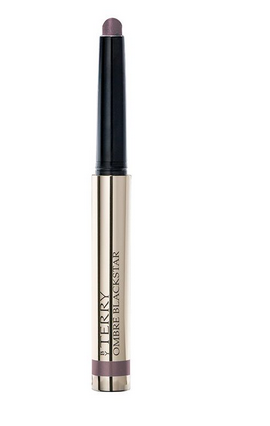 A beautiful, brightening base for dulled, lacklustre complexions, By Terry’s Light-Expert Click Brush is a quick and convenient skin-perfecting solution – ideal for taking on your travels, to create a flawless canvas on the go. With a featherweight ‘elastic’ formula, this blends effortlessly – unifying uneven skin tone and disguising imperfections without slipping or settling in creases. What’s more, it’s sufficiently sheer yet buildable to allow your natural colouring to shine through for an enviable, natural-looking ‘your skin but better’ effect. Targeted towards all those concerned with dulled, dehydrated complexions in need of a radiance boost, By Terry’s Cellularose Brightening CC Lumi-Serum creates a subtle veil of light-reflective pearl pigments, to blur the visibility of imperfections and create a more even-toned, radiant canvas. Beautiful worn along on ‘good skin’ days, this can also be mixed with foundation to create a flawless finish. An effortless crème eyeshadow, By Terry’s Ombre Blackstar is a beauty blogger favourite – beloved for its phenomenal long-wear formula, dazzling spectrum of shades and incredible ease of use. The beautiful, satin-smooth consistency glides over eyelids to create instant, crease-free definition – enhancing and illuminating thanks to Tahitian black pearl extract (rich in ultra-smoothing proteins) and ‘radiance-trapping prisms’ which lend lids a subtle, light-reflective lustre. Posted in art and tagged bbloggers, beauty, makeup. Bookmark the permalink.